The year ended by confirming the BJP’s upward mobility when the alliance led by it secured a majority in the Jharkhand assembly and the party put up its best ever show in Jammu and Kashmir. But there is a hint in both the elections that the party’s ascent may not continue to be as smooth and effortless in 2015 as it has been in 2014. In Jharkhand, for instance, the BJP could cross the half-way mark in the 81-member legislature only with the help of its ally, the All Jharkhand Students Union, which added five seats to the BJP’s tally of 37, which was way down from the 58 assembly segments which the BJP won in the general election six months ago. What is more, the BJP’s victory rath (chariot) came to a halt outside the Muslim-dominated Kashmir valley, showing that it is only the party’s vote bank of the Hindus of Jammu who supported it while the Muslims gave it a wide berth since the BJP could secure only 2.2 percent of the votes in the valley. The reason for the rebuff by the minorities is clear enough. They have been angered and disheartened by the aggressive anti-Muslim and anti-Christian campaigns of the Hindu supremacist RSS and its rabid affiliates like the Vishwa Hindu Parishad (VHP) and the Bajrang Dal. These fundamentalist outfits have seen the BJP’s rise to power at the centre as the most opportune time to push their fascistic idea of converting secular India into a theocratic Hindu rashtra (nation). There is little doubt that if Prime Minister Narendra Modi is unable to rein in these members of the Hindutva Gestapo, then his memorable and unexpected victory in the general election will begin to unravel. It is worth recalling that the BJP’s success in May was the culmination of a series of political victories which saw the party win assembly elections in Madhya Pradesh, Chhattisgarh and Rajasthan and emerge as the first party in Delhi at the end of 2013. While the BJP’s success story can be said to be continuing, its main adversary, the Congress, is going steadily downhill and has now reached a stage when its revival seems to be nearly impossible. The reason is its inept leadership, comprising the mother-and-son duo of Sonia and Rahul Gandhi, both of whom palpably lack political charisma (which used to be the Nehru-Gandhi family’s forte), intellectual acuity and an economic vision in sync with the modern world which has lost patience with socialism, which the Gandhis seem to prefer. As a result, the Congress has lost virtually all the major elections for more than a year while the BJP has forged ahead. Only in several by-elections, notably in Rajasthan and, surprisingly, in Gujarat has the Congress fared well but they have been too few and far between to rejuvenate the party. 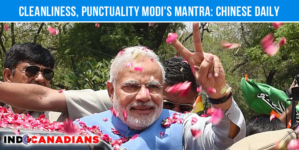 In contrast, Modi has all the requisites of a winner – charisma, oratorical skill, a forward-looking economic agenda and administrative acumen with a hands-on approach. 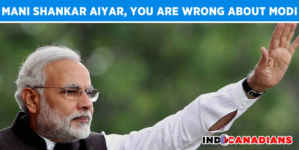 But his Achilles heel is the RSS, VHP and other Hindu militant groups like the Dharma Jagran Samiti, which has been organising the proselytizing ‘ghar wapas’ (homecoming) campaigns to woo the minorities back into the Hindu fold. 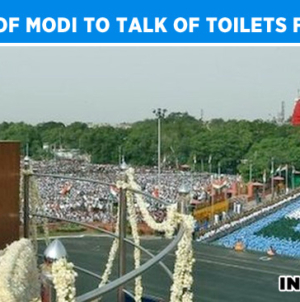 It is not that Modi is unaware of what’s hobbling him. 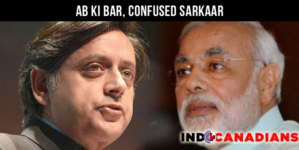 But, in a way, he is helpless because having spent all his life in the fundamentalist environment of the RSS shakhas and among its karyakartas (workers) – Modi himself was once a pracharak (preacher) – it must be now very difficult for him to turn against them even if he knows that they are harming his development plans. Although he has partially succeeded in taming the hardliners by persuading them to put off the issue of constructing the Ram temple by a year in keeping with his Independence Day call for a moratorium on sectarian animosity, he doesn’t seem to have reckoned with the penchant of the extremists to conceive of one divisive idea after another – love jehad, ghar wapsi, bahu lao-beti bachao and so on. The last-named campaign is the obverse of the love jehad programme. While the latter warns Hindu girls against being trapped by Muslim boys into marriage, the bahu lao-beti bachao slogan advises Hindu boys to marry Muslim girls while saving their own sisters. As a result of the xenophobia propagated by the votaries of Hindutva with claims that India exploded an atomic bomb in prehistoric times, as was stated by Ramesh Pokhriyal Nishank, MP, and invented plastic surgery – an assertion made by Modi himself – India is passing through a surreal atmosphere where a pro-market economy reflected by the glittering malls and multiplexes is coexisting with articulations redolent of an unscientific and unsophisticated worldview. This contrast is also evident in the government-forming negotiations between the BJP and Muslim-majority parties of the Kashmir valley like the People’s Democratic Party and the National Conference, which the saffron hawks regard as pro-separatist and, therefore, anti-national. 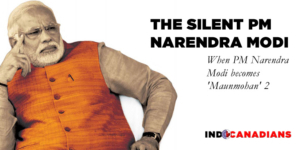 Unless Modi can resolve these contradictions between a 21st century government and the Hindutva radicals by coming down heavily on the latter and resolutely pursuing economic reforms, the earlier optimism associated with him will disappear. The gainer from any such inability will be the Congress and the other opposition parties whose stalling of parliament over the antics of the saffron activists has compelled Modi to take the ordinance route to pass crucial pro-reforms laws. But such bulldozing tactics are a sign of the prime minister’s, and the democratic system’s, failure. If Modi nevertheless opted for them, it is to divert attention from the antics of the Hindutva fanatics. He will have to pursue the economic reforms – the road to middle class hearts – even more energetically if the BJP fails to stave off the Aam Admi Party’s (AAP) challenge in the Delhi elections which are likely to be held in February. In 2013, the BJP came first in Delhi. But coming first will not do this time, for it will show that the Modi wave is petering out. Even securing a majority may not satisfy the BJP top brass if the AAP comes anywhere near the 28 seats it won last time. In that case, Modi will have to confront the saffron brigade head-on in a face-off reminiscent of Hitler’s night of the knives.